Raccoon control is almost impossible to mention without mentioning use of traps. That is simply because traps stand out as one of the most effective Raccoon control methods in use today. But what exactly makes traps special kind of role do they play when it comes to Raccoon control in Toronto? Trapping can be safe and humane when it comes to Raccoon removal. At the same time however, it can be risky and inhumane. It all depends who the person is setting a trap. 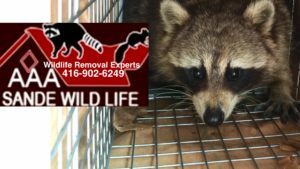 A competent Raccoon removal company will trap Raccoons, with the aim of releasing them back to the right habitat. Unfortunately, people trap Raccoons and other wild animals for their hate of them. There are some who consider trapping as a hobby; others just want to trap and kill Raccoons for fun. While this may be a norm, there are new laws coming up on how trapping can be regulated. It is easy for one to think that when it comes to use of traps for capturing raccoons, all one needs is to set a trap, go home and return to the same trap later to find a raccoon. This may happen but is it effective? Certainly not. Traps can be notoriously indiscriminate. That is, they capture animals that trigger them. Some of the animals that may end up in your trap could belong to rare and endangered species. A good solution in this case is to use live traps. This kind of method will not injure animals. That is in fact why many Raccoon control services use them. Only a handful of people are familiar with the kind of regulations that are in place today to control trap setting. Such regulations exist for two main reasons. First off, no animal should be subjected to the kind of pain that most traps seem to boast of. Secondly, the use of appropriate traps can easily protect endangered and rare animal species. It is important to note that laws on how one can use traps differ from one state to another. Some laws provide for the maximum number of animals one can trap in a day. 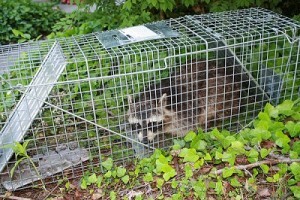 Others simply provide for the specific types of traps one should use when nabbing raccoons and such kind of wild animals. The main regulation is the transportation of Wildlife in Ontario. The transportation of diseased Wildlife and spreading the disease is the main reason for a 1km transportation rule. Whoever tells you that trapping raccoons is cheap is lying to you. It may look like the cheapest wildlife management too, but it is not. The cost of investing in the right traps as well as the cost of applying for the relevant licenses must be considered. There is also the fact that some animals may call for use of advanced traps which may not be cheap. 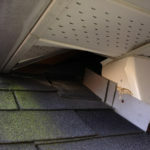 All these and other factors explain why some Raccoon control service providers are not cheap. Other factors that may make use of traps expensive lies with the kind of risks that one can expose himself to when setting up a traps. There is always the risk of sustaining injuries or like already explained, catching endangered species. There are several myths that surround the business of setting up traps. The most popular myth is that you can bait a trap with anything. Most Raccoons dig through the garbage for scraps, but when it comes to a trap their picky. A Raccoon is very smart when it comes to a food reward; this is why certain garbage cans are raided every night. 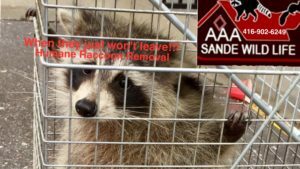 Relocation of Raccoons is thought to be humane for Raccoons; this is just a bad myth you should stop believing in. A Raccoon is very territorial just like a male cat. Once these animals meet the same of its species, it is a full out brawl till the competition crawls away. Most Raccoons inflict such damage on each other that they die from their injuries. Never is it good to trap a mother Raccoon with her young Cubs. If you’re lucky enough to trap the mother Raccoon, the Raccoon babies will not be as easy. Once the Raccoon Cub does not have its mother to guide it around, you can be sure the young Cub will not leave your property. Usually starvation hits these orphaned Cubs or are eaten from another bigger Raccoon. When the Cubs and the mother Raccoon are in one’s attic, a whole other bad scenario plays out. 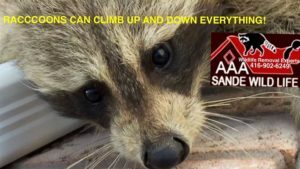 If Raccoon Cubs still have not ventured outside, you can be sure if the mother Raccoon is gone their not leaving your attic. With female Raccoons with babies in your roof are heard, make sure you call a Raccoon control professional. 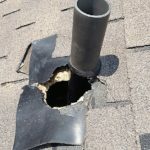 Raccoons can frustrate any homeowner to the point of wanting them gone. 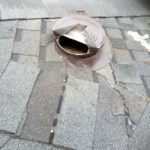 Most homeowners out of frustration trap the Raccoons and relocate them elsewhere, however, there are some very bad things that can occur by doing this. Crops by farmers have been lost to large groups of Raccoons. With poisons being banned for use against Raccoons, it leaves the farmers almost defenseless against a Raccoon invasion. The worst impact of Raccoon relocation is the spread of Raccoon diseases. The most popular disease being carried by the Raccoons in Ontario is Distemper. Distemper can be passed to other Wildlife as well as domestic pets. Distemper can be spread many ways; one by ingesting a diseased Raccoon; or simply as a animal drinking water the Raccoon defecated into. Animals like Horses, Skunks, Dogs, and other Raccoons are prone to this fatal disease. Any professional Raccoon control service would know better and have a diseased Raccoon euthanized. 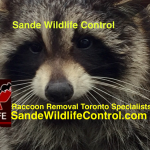 Raccoon control in Toronto, Etobicoke, North York, East York, York and Scarborough. 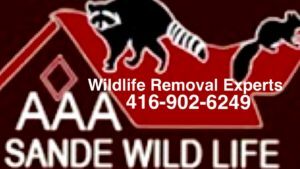 Raccoon control in Pickering, Ajax, Whitby and Oshawa. 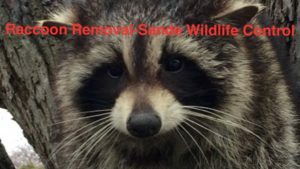 Raccoon control in Mississauaga, Brampton and Caledon. Raccoon control in Richmond Hill, Markham, Thornhill, Maple, Woodbridge, Vaughan, Stouffville, King City and Aurora. 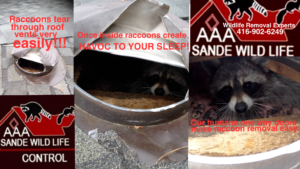 Be safe always read up on Raccoon control reviews of any service provider you choose.